The City of Middleton has permitted its residents to raise backyard chickens for years. Following that success in small-scale urban agriculture, the common council on Tuesday night unanimously approved an ordinance to allow backyard beekeeping as well. The ordinance, which was crafted over many months by the Middleton Sustainability Committee and reviewed by the license and ordinance committee, went through the city’s plan commission without a hitch last week, receiving endorsements from a handful of speakers and earning a unanimous recommendation of approval. The ordinance approved by the common council this week includes a list of stipulations that supporters say were designed to help prevent conflicts between beekeepers and their neighbors. The city will not charge a fee or require a permit, however. The new ordinance states that no bees shall be intentionally kept and maintained other than honey bees, and no hive shall exceed 20 cubic feet in volume. 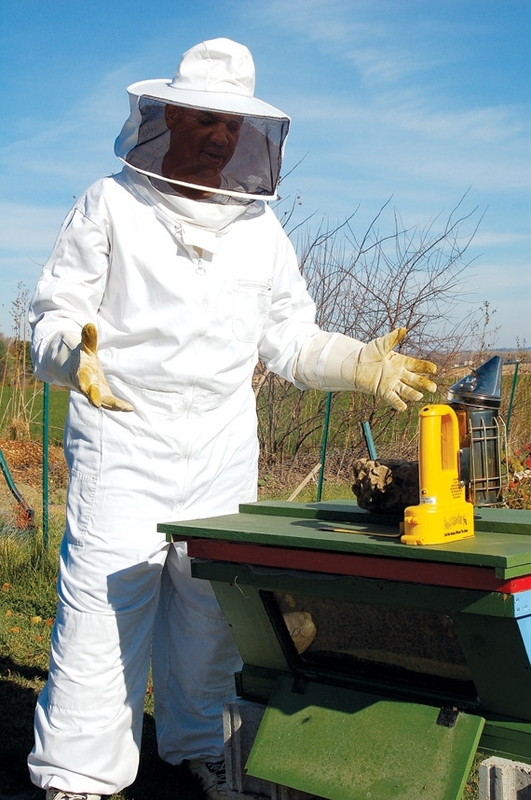 No more than six hives may be kept on a zoning lot, no hive shall be located closer than three feet from any property line of a zoning lot in different ownership, and no hive shall be located closer than ten feet from a public sidewalk or 25 feet from a principal building on an abutting lot in different ownership. The ordinance also states that an ever-present supply of water must be provided for all hives, and a flyway barrier at least six feet in height shall shield any part of a property line of a zoning lot in different ownership that is within 25 feet of a hive. The flyway barrier may be a fence, wall, dense vegetation or other barrier, but it must effectively direct bees to fly up and over it. Mike Byrne, the manager of Willy West Co-op and a citizen member of the city’s sustainability committee, said his neighbor has kept bees for years. Byrne said the creatures have not caused any problems. In fact, they have provided a source of entertainment and education for his children, as well as helping to pollinate his garden. “The world needs more bees,” Byrne told the plan commission last week. He said their success stems from the fact that urban bees have a more varied range of food sources available, and their lack of exposure to the pesticides present in monoculture corn and soy fields makes them less susceptible to colony collapse. Unlike the beekeeping ordinance on the books in Madison, Middleton’s version allows bees on commercial lots with adequate space.